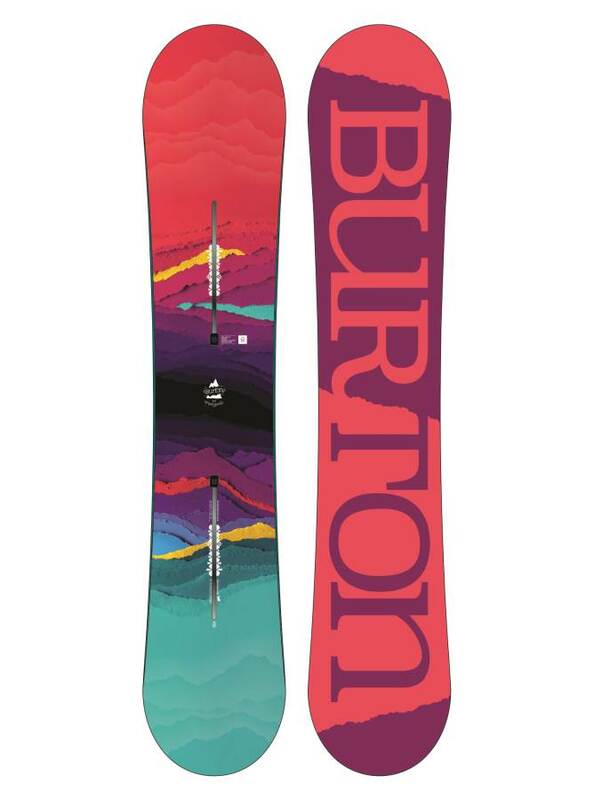 The Burton Feelgood really shines for the rider that still loves traditional camber, lives for groomed runs, likes to carve and loves to pick up some speed. The Advanced to expert rider will appreciate this the most but the intermediate rider who wants to push it will have a good time on this as well. On Snow Feel: The Burton Feelgood has a semi-aggressive camber ride but a very aggressive ride if you compare it to all of Burton’s hybrid to rocker shapes in Burton’s line. Back in the day of all camber boards, it would be a mid-level ride but today it leans more on the aggressive side. It’s got a locked in carvy pick up some speed kind of feel but it doesn’t get cranky on you when you want to slow down and cruise. It is a very balanced do everything all mountain camber ride. Powder: So if you are set all the way back this is a great camber board for riding in powder but if you were to switch out to the Feelgood Flying V it would blow your mind with how much easier it is. So this board wants to point back down into the snow but the Feelgood Flying V just wants to stay up. So if you are an old school rider who likes camber in powder you will be fine with this board but if you have tasted and liked the easy float of Flying V-Rocker or other hybrid shapes you might not want to be on this when it’s deep. Turn Initiation and Carving: The Feelgood is an amazing board to turn if you know what you are doing. 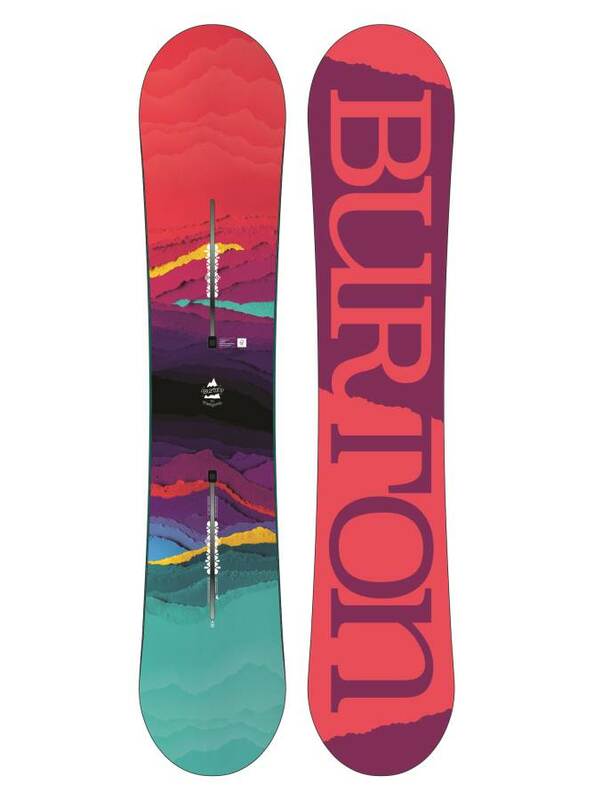 Burton has something going on with their flex tech that makes the Feelgood feel like it’s completing the turn for you. You have to know how to turn correctly for you to feel this but if you do small, medium, wide radius and carving turns are really fun. It really springs out of a carve and it is super fun on a perfect morning groomer. Speed: When you compare this to a super stiff freeride board it’s not excellent but it’s got more than enough wide open bomber mountain speed. The base is really fast and it can get you through a long flat cat track if you have it nicely waxed. Uneven Terrain: The Feelgood can handle pretty uneven snow and at the end of a crowded Saturday with emerging moguls, you will be fine. You would expect this to be worse for how well it handles speed. Edge Hold: Good on the great side of things when it comes to edge hold. Nothing spectacular but it rides well in all but firm to hard snow. It doesn’t handle ice patches well. The frostbite edges are ok with Camber but I personally think all Burton boards could use a little more bite in the edge hold department. Switch: Not perfect switch but with a little time on the board you can become very comfortable riding switch. Jibbing: Least jib friendly Burton women’s board so don’t get this unless you are only good for an occasional bonk or wide box. Pipe: Really good for the pipe. It’s got a nice carving drive from wall to wall and if you are about technical pipe riding you can get some big air with this. 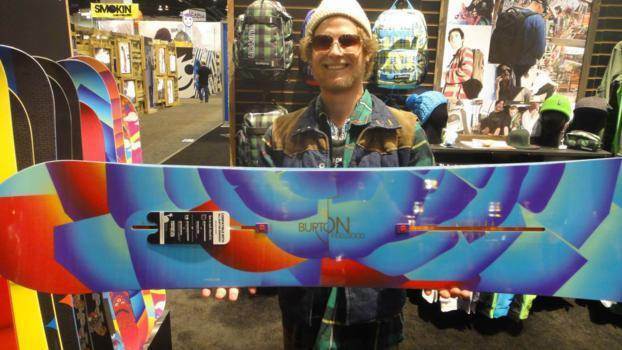 Jumps: Burton makes boards that snap really well. 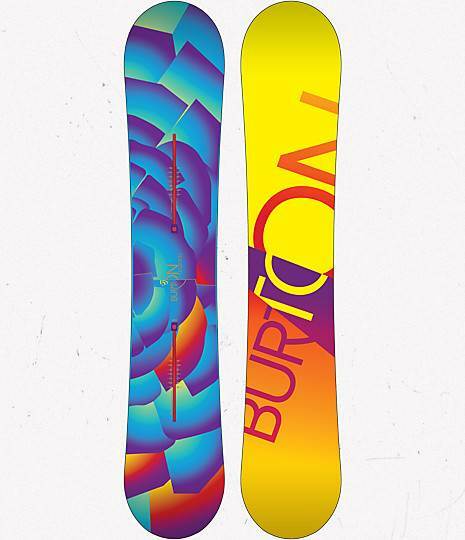 It seems like every year Burton is doing something to improve the pop of the board. It’s got a nice spring off natural features on the hill but also is pretty good for going big in the park. The Deja Vu Restricted might even be more fun here because of it’s true twin shape but this is still really good if you are ok with a board that is twinish instead of perfect either way. 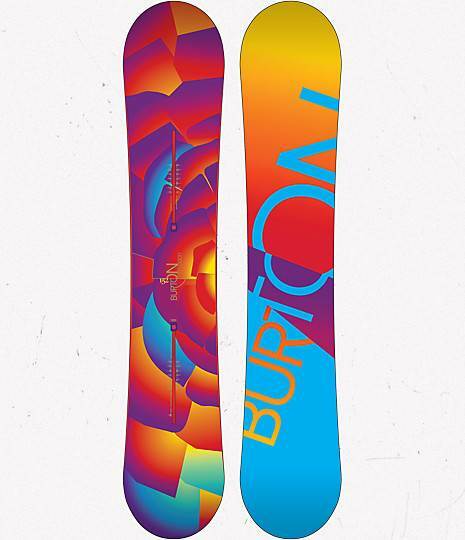 These days there are many boards that offer a little more going on in the powder and edge hold department but The Burton Feelgood is still hanging in there as a great aggressive all mountain board that many riders will really love. 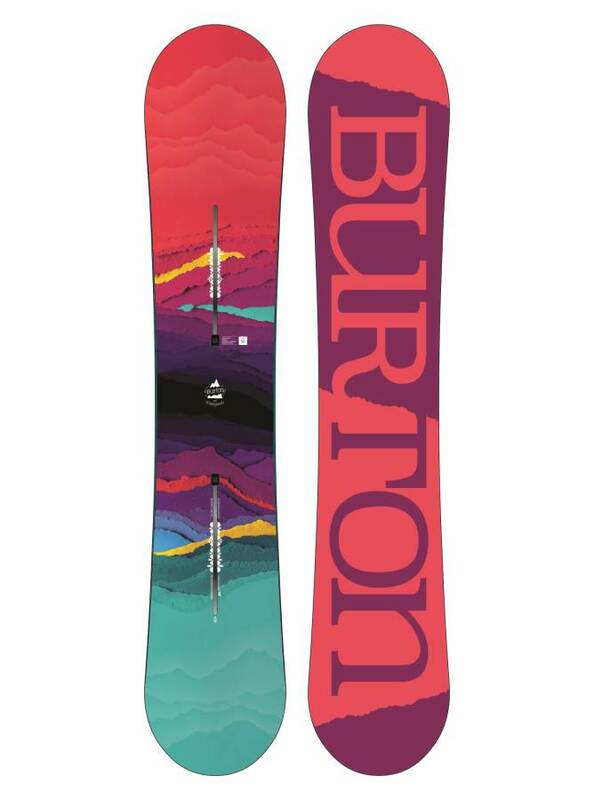 2013 and Below Burton Feelgood Review. The 2013 has carbon in the board which gives it a little bit more responsive and lively feel but the ride is still very similar to the 2012. 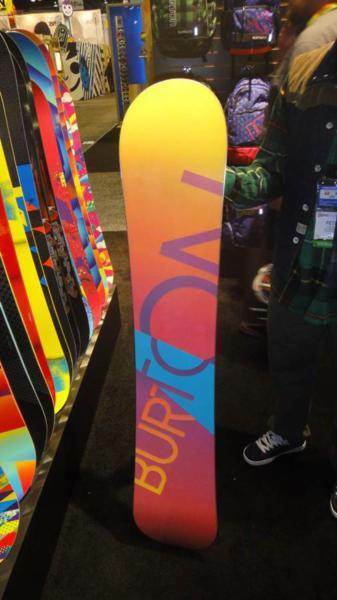 The 2012 Burton Feelgood is very similar to the 2011 except it has a little more spring. The 2011 Feelgood added frost bite edges which do a good job for creating extra edge hold with camber boards. On Snow Feel: The Feelgood has a stable but somewhat catchy ride for those accomplished riders that like a more aggressive approach to the mountain. It’s great at directional cruising morning groomers at moderate to high speeds. It also isn’t bad for an all mountain freestyle approach to the mountain if you understand how to handle the more technical camber shape. If you want loose forgiving and easy between the feet the flying v version is the call. 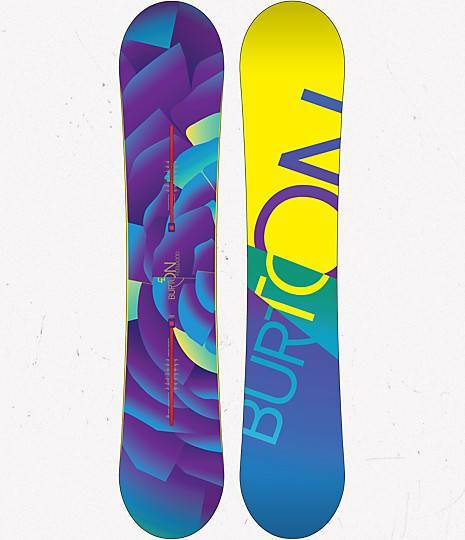 Powder: This board does well in the powder but it doesn’t have the effortless float that you would get from the Burton Feelgood Flying V. In a perfect world it would be great to have both boards. One for groomed days and one for powder and cruisy park focused days. Speed: This board does very well at slow to medium speeds. If you want to push it and bomb a hill the Feelgood will hang in there and keep things almost completely chatter free. The base is pretty fast and the board has a medium flex. Uneven Terrain: You would expect a lot worse from this board when you have to slow down and deal with crappy uneven terrain but it does a splendid job for it’s flex. It’s great in all kinds of bumpy snow as long as you have the ability to turn it in those situations. Burton just know’s how to make a board handle uneven terrain well and you can ride this from first char to last on a crowded Saturday with out much shock being passed up to you. Approximate Weight- This is a pretty light board. It’s not going to break any records but it does reside comfortably in the pretty light category. You might notice this on your front foot when riding up a chair but you’re not going to say Fu$(when is this lift over. Turn Initiation- Probably its best quality. It’s a pretty narrow mid flexing board with a decent side cut so when you want to turn it its pretty responsive. It still leaves a little work for you to do if you want to lay into a turn. It is fun to make big turns or short tight turns and it will never let you down in a tight spot. Edge Hold: The Feelgood holds a pretty good edge. With the additions of “frost bite” edges that have a small extension between the feet it does a good job gripping everything but ice. We found it to hold in snowment but you have to keep the edges sharp. 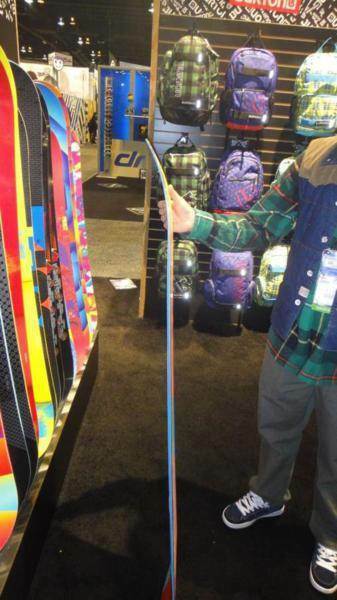 Flex: This is a medium flexing board that is stiffer between the feet and a little softer at the tip/tail. It’s not super playful compared to the rocker boards out there but if you compare this to a camber board that is 5 years old you will be surprised at how the flex has changed. Switch: Even though this board is more on the directional side it still can ride switch. It does feel a lot different than riding regular. You will get use to it but it’s nowhere near as fun as a twin. Pipe: This board does pretty well in the pipe. It has enough edge hold to climb most walls and is forgiving enough to land a not so perfect re-entry. It still lives on the technical side of pipe riding but many will like the ride here. Jibbing/Rails: The Feelgood isn’t going to own the jib park if you compare it to the Burton Lipstick or even it’s rocker sister the Burton Feelgood Flying V. Still you can stop in the park and hit some smaller stuff without it being too sketchey. Jumps: It’s a good board for jumps and can handle most anything you throw at it. A directional board isn’t the easiest to land or take off switch but it’s one of the better directional boards out there for this purpose. The Feelgood also has a lot of old school spring that made this a fun board to create your own air on. 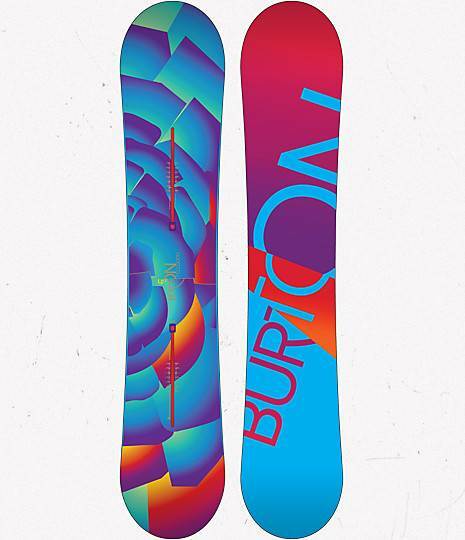 We try to get as many images of the Burton Feelgood, but forgive us if they're not all there.